This is the second lesson to go with the unit for Hatchet. 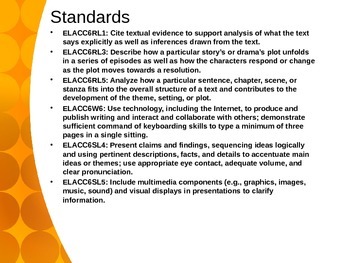 It is based off of Georgia's Common Core Standards and recommended Frameworks. 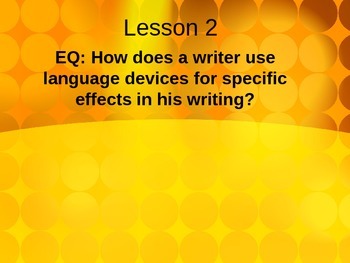 It includes introducing Personification through a youtube link of "Firework" by Katy Perry, a flow chart activity, and a group project to allow students to be introduced to research. 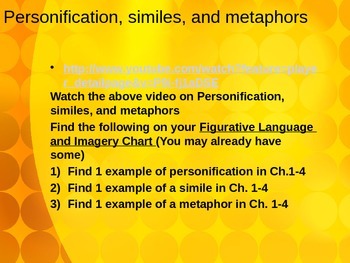 The Personification adds to the "Figurative Language/Imagery" Chart that they started in Lesson 1. You can purchase this item from my store. 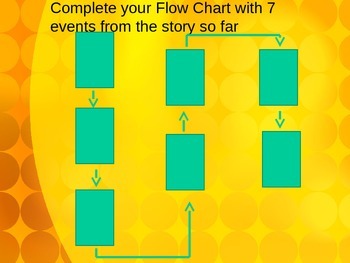 The Flow chart that is featured in the PowerPoint is already created and can also be purchased from my store. Students will present their group research in a multimedia format to the class after 2-3 days of research and turn in their source cards with specific information on the slides.